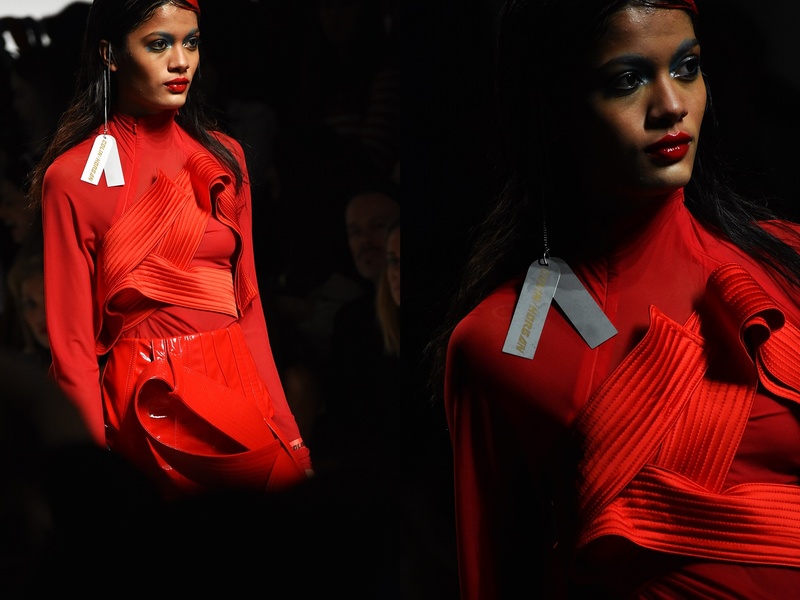 Amazing woman’s strength of Colin Horgan’s design, On/Off,LFWFeb19. 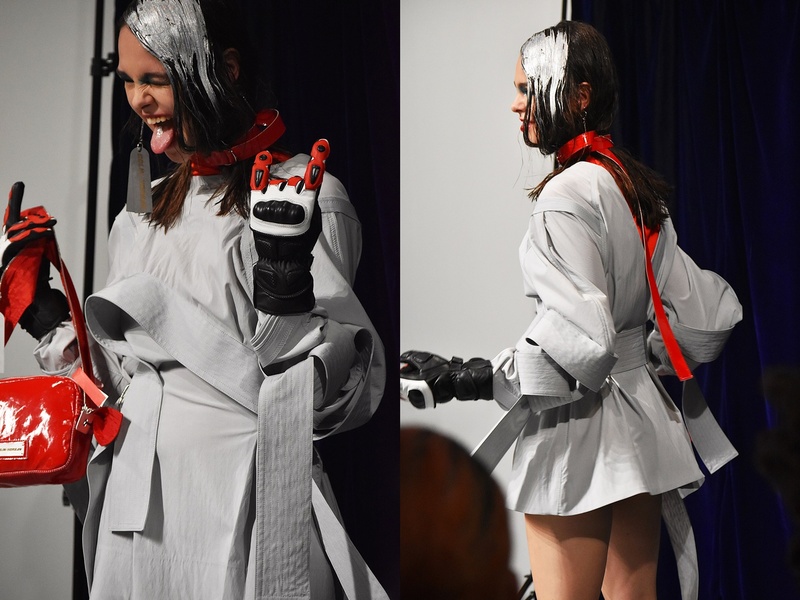 But how a woman’s willingness to fight for her femininity today, can inspire now Colin Horgan’s amazing design showcased by OnOff London during London Fashion Week? The rules are changing in fashion. Sustainability, environmental thoughts inspire daily designer’s creative imagination. 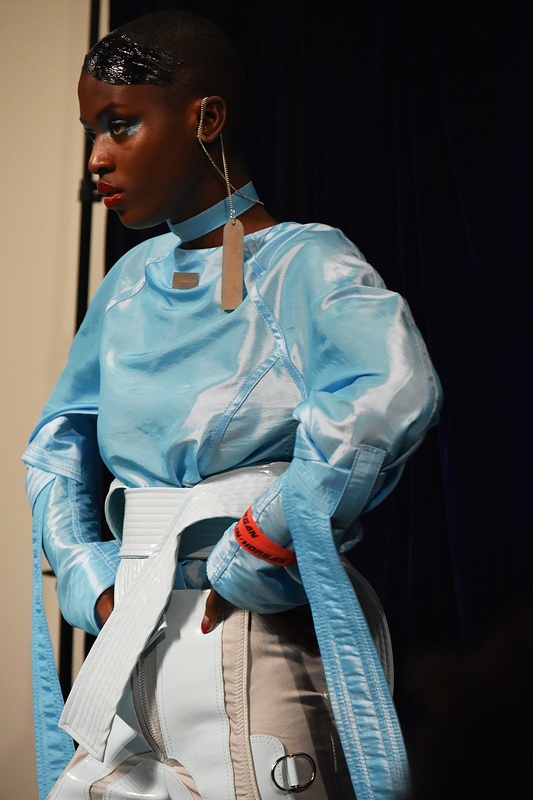 Afterthought, woman’s willingness to fight for her life and reveal her femininity, what she believes is right can inspire Colin Horgan’s design showcased by OnOff during London Fashion Week in February 2019. As far as, I attended live the designers’ fashion show, I explored a new aesthetics. The design is the key to change. Materials, technology, and creative imagination seem to inspire Colin Horgan. 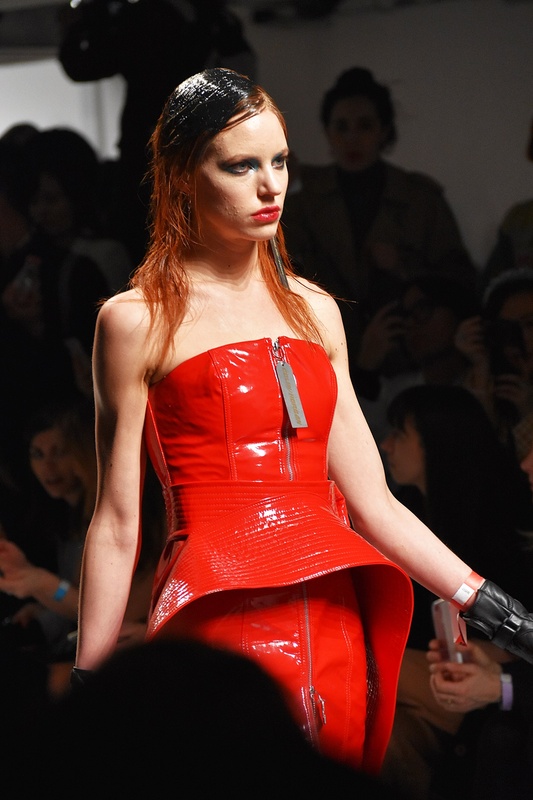 His womenswear collection is at the forefront of all this change. Dare to create, and to innovate now. The real beauty in a woman’s strength is her lifestyle. How Can we adopt this inner strength to new patterns? New freedom of independence and personalization is in the air. Creativity liberates a woman’s life. Let’s explore this promising new design idea. Who is still Colin Horgan? Stop for a minute and explore now: what always attracts the interest of the designer’s irresistible woman? 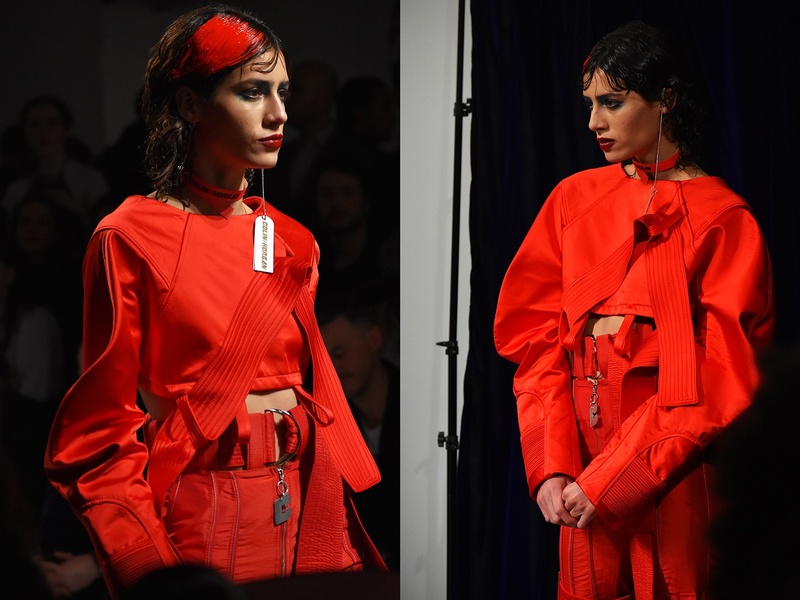 Horgan graduated from the MA Fashion Womenswear programme at The Royal College of Art in 2017. His work has been seen on Lady Gaga, Dua Lipa, Little Mix, Rina Sawayama, Arca and Ella Mai to name a few whiles enjoys press coverage from iD, Dazed, Hunger and Glamcult. Hogan’s woman is attracted to danger. He loves lean shapes that embrace the women’s body. For the Irish born designer, the woman’s strength is an ultimate source of creativity. Above all, she never forgets that she is free to create anything she wants. Let’s discover it! 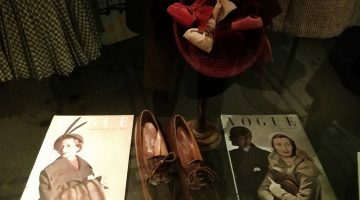 How does color deliberate today a woman’s style in Colin Horgan’s Autumn/Winter 2019 collection? Afterward, how sometimes amazing brights celebrate the feeling of freedom? Colin Horgan’s catwalk is a tribute to women’s strength through colors. The designer embraces women of every color. He reveals their beauty in a playful, and full of energy mood. First of all, despite pastels, we see a range of bright colors. Brights reveal the feeling of freedom of choice. In my eyes, it is one of the most powerful messages. In addition, Glacier blue, crimson red coexist with grey shades. Darkness envelops forms, but color attracts attention. Besides, red is powerful, alive, irresistible in high shine finishes. Wet-look plastics create a fresh, contemporary style. Women need color to offer excitement in their daily life. However, pay attention to the brights and be flexible. The dark tones are always in style. How does the wet-look in Colin Horgan’s Autumn/Winter collection reveal already your way to dress? Awaken your style and think: How to determine today your look in seat belting design? The wet-look finish reinforces the new style. Firstly, bright colors in smoked linear lines of seat belting are the original design detail of Horgan’s silhouettes. These shapes reveal a new message: Women of today dare to have confidence. Secondly, they love to wear tight pieces in mixture with transparency. These shapes with emphasis on self-expression throw out the rules. Thirdly and most importantly, do not think about what do you need to wear. Express yourself and be creative. 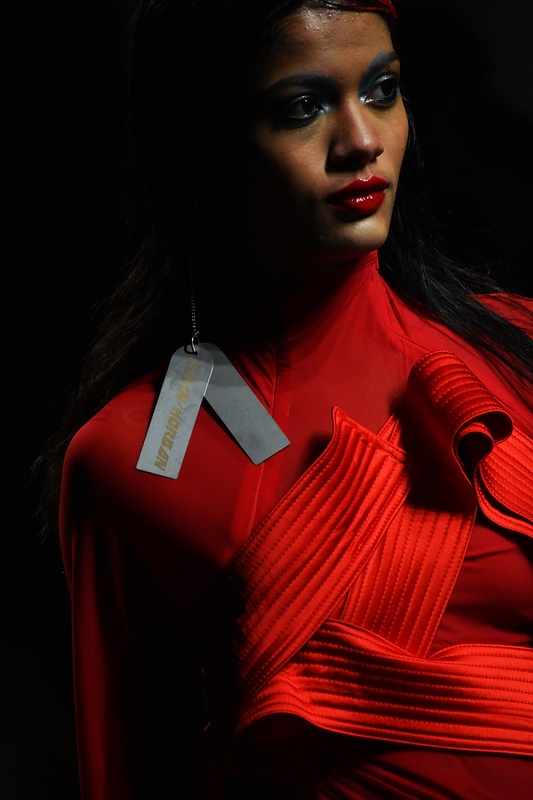 Metallic tags, zippers, and accessories create a new metal look. Motor gloves, aerodynamic trousers, leather tops, and clutch bags are details which always make the difference.